I sat down last night taking my box of 9X12 inches watercolor papers and cut them into 3 pieces. 5 1/2 x 8 1/2 inches to fit in my Komtrak Sketchbook. A few minutes punching holes did the trick. Second cut was for the 3 x 8 1/2 inches. 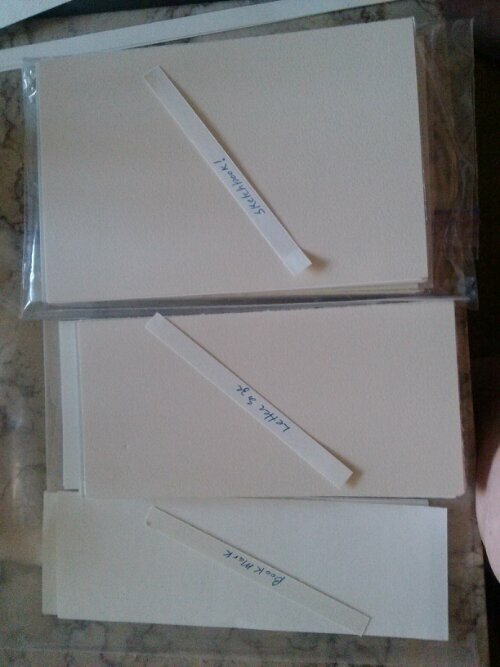 To fit business envelopes, I found some vellum envelopes I found in my basement supplies. Carol made address labels for our trip. This will be fun to sent homemade cards to send. The last part of the paper is for bookmarks to give as gifts to freinds and family. I placed all the paper into ziploc bag for safe keeping. 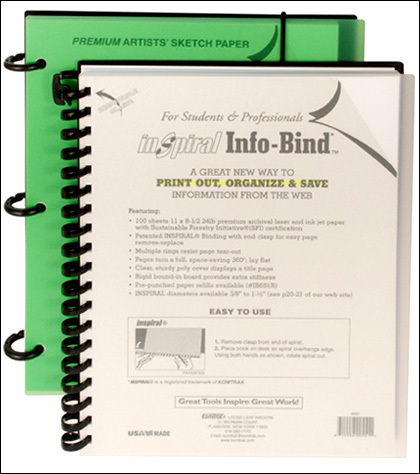 The sketchbooks come with two different bindings, both removeable. A spiral and a O ring clip. I have one of each. I am using the O clip currently and love being able to flip cover to the back. Being able to add or remove pages is great. 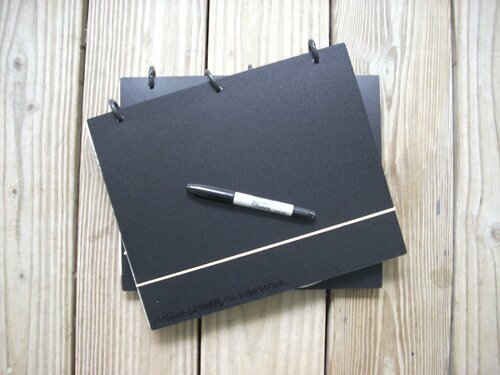 I really like using this sketchbook.